Hundreds of runners took to the Prom under blue skies for the first Blackpool Music Run. The 10k route, from the Metropole to Squires Gate and back, featured seven stages with more than 20 acts performing as 800-plus runners took part in the full distance, with families enjoying the 2k Mini Music Run. Headlining the event, at the Festival On The Sea on North Pier, were chart acts The Hoosiers and Union J. The music run’s official charity was youth homelessness organisation Streetlife, and ex-Coronation Street actress and Streetlife ambassador Nicola Thorp was among those taking part. 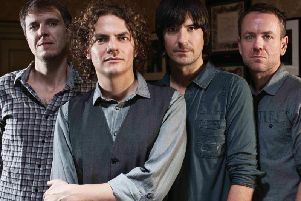 Toploader are coming to Lancashire, and its FREE to watch!